Oppo since last week has been teasing the Oppo R9 and the Oppo R9 Plus camera-focused smartphones in China. It has also been posting teasers on its Weibo account touting the handsets' VOOC fast charging. However, it has finally posted an image confirming when it will be launching the duo. 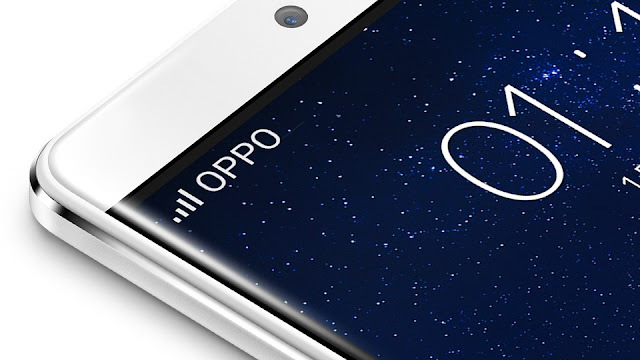 Oppo R9 will be smaller of the two smartphones with a 5.5-inch 1080 x 1920 Full HD AMOLED display. It will be powered by an octa-core SoC, although no specific details regarding the chipset are available currently. The chipset will be paired with 4GB of RAM and 32GB of onboard storage. A microSD card slot will be included as well, so you will be able to expand the storage further by up to 128GB. At the back, the Oppo R9 will include a 16MP primary snapper with an accompanying LED flash. Oppo R9 include a fingerprint sensor on the front, 4G LTE connectivity, 2850mAh battery supporting VOOC Rapid Charge technology, Wi-Fi 802.11a/b/g/n/ac dual-band, and hybrid dual-SIM card slots. These two new smartphones will come with the latest version of Google’s mobile OS, Android Marshmallow and they will feature front and rear facing cameras. As a rumor for R9 plus on the front of the handset there will be a 13 megapixel camera for video calls and Selfies and on the back there will be a 21 megapixel camera which will be capable of recording 4K video.We will have more information on the new Oppo R9 and R9 Plus smartphones when they are announced later this month. Both phones passed through TENAA and will bring all-metal bodies and AMOLED screens. The R9 will have a 5.5" 1080p screen, the R9 Plus will be bigger with a 6" 1080p screen.